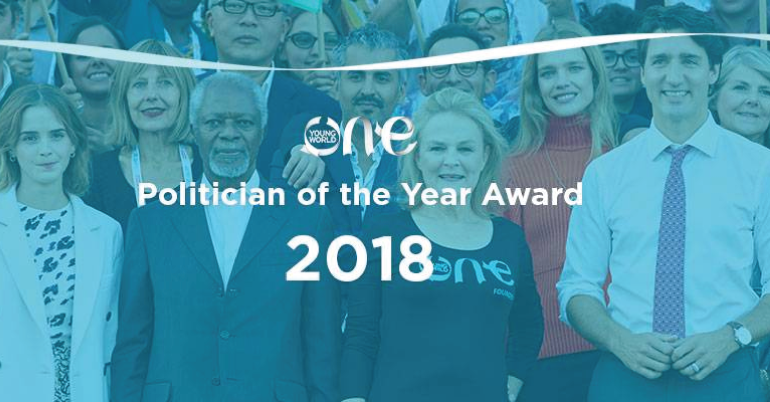 One Young World’s Politician of the Year Award has been created to recognize the 5 most promising young politicians between the age of 18 and 35 years old from around the world who are having the greatest impact in their home countries and communities and have been using their position to benefit young people. 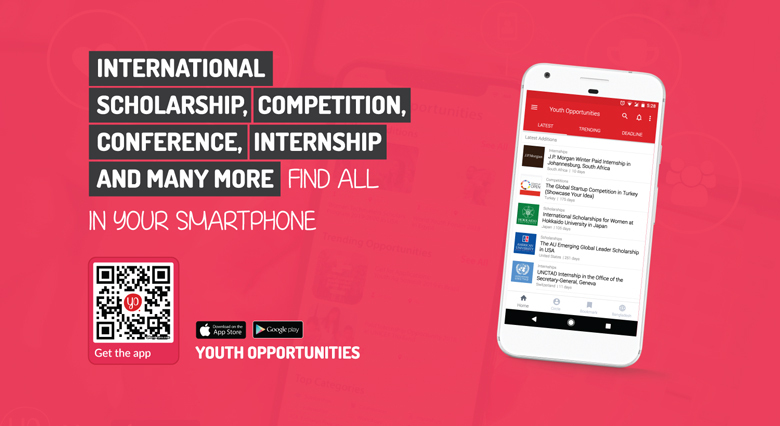 It is the first global award of its kind and has been created to counter the low level of engagement in politics and disillusionment with political processes which young people are experiencing around the world. Despite young people increasingly being recognized as playing leading roles in business and civil society, the level of youth engagement in politics worldwide remains disappointingly low. In 2016 fewer than two percent of Members of Parliament around the world are under the age of 35 and almost 30 percent of the world’s parliaments have no members under that age. This lack of representation carries with it a risk of leaving a generation feeling disconnected from the political processes of their countries when over half of the world’s population is under 30. The purpose of this award is to highlight the work of those young politicians who are using their position to make a difference to the lives of other young people in their countries and to encourage others who are not in politics and may not have considered it as a vocation to do so. The Award will be presented at the One Young World Summit every year. The inaugural Award will be presented to the 5 winners at One Young World 2018 in The Hague, which takes place from 17th-20th October. The Award winners will be chosen by an international panel of judges with first-hand experience of politics. Their decisions will be based upon the work which young elected or public officials have been carrying out in their own countries and communities and the benefit and impact which it has had on young people. Open to anyone as long as they currently hold or have recently held elected or appointed office at any political level (local, national or supranational). Any applications received after the deadline will be considered for next years award.